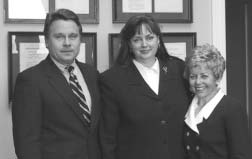 Rep. Christopher Smith, FFL President Serrin, and Susie DeConcini meet in his office in 2001 to discuss resources for women. Susie’s family posted a beautiful obituary to recall the highlights of her life — most importantly, her family and more recently, her soul mate John Adams. But a lifetime of accomplishments can’t fit into a paragraph. And all who knew her will have their own stories to tell about Susie. The granddaughter of a suffragist, Susie hosted Feminists for Life’s board meetings in her home in McLean, Virginia, as if she ran a B&B. I cried at the backyard she threw for by 10th anniversary at Feminists for Life. What I will remember most about Susie, besides her Shirley Temple smile that matched her personality, was her gems of wisdom that she passed on to much younger board members. We’d be discussing some challenge, and Susie would begin to talk about some unrelated experience. At first, we didn’t know where she was going, but we quickly learned to stop and listen. She was teaching us. Always, always, use carrots not sticks. (That’s how she convinced the Senate to provide day care for the children of Senate staff.) Give credit before it is due. Most people will measure up. She would open doors for FFL. Members of congress clearly respected and genuinely liked this woman. All had to stop and say hello as we walked the halls on the Hill. And it was Susie who would invite Ambassador Lindy Boggs — one of the first women elected to Congress — to a dinner with the FFL Board of Directors at Antoine’s in New Orleans. We heard stories upon stories before following them down Bourbon Street to Bogg’s home, which was filled with historic family treasures. Not everything turned out as she had hoped. When she and then-Sen. Dennis DeConcini watched the 1980 presidential debate, Jimmy Carter challenged Ronald Reagan. Would Reagan, if elected, appoint a woman to the U.S. Supreme Court? Reagan said yes. The pro-life Democratic couple immediately thought of a Republican judge from Arizona, Sandra Day O’Connor. 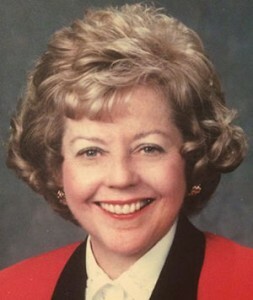 But after O’Connor voted in support of Planned Parenthood, Susie would still send little notes to her, including information about Feminists for Life. When she retired from the board, she said, “Serrin, I am going to be 70 soon. I’ve done my service for FFL and want to think about what I will accomplish in the next 10 years of my life!” Still, she would continue to welcome us into her home. Her children threw her a surprise 70th birthday party at the Fort Belvoir Officers Club. She worked the crowd like an experienced political spouse — reaching for the next person while seeming to be pulled to the next to ensure she would greet every guest. After she retired from the Board, Susie continued to open her home for more FFL receptions — most recently last spring where board members Pat O’Kane and Mike Sciscenti, former intern Katherine Beck, and I addressed a group of FFL members. Little did we know that colon cancer had begun to spread. How could we? How could she? Susie appeared to be so healthy, carrying provisions for the event as if she were a teenager. And there are the random memories too. Susie told me she gave up sending Christmas cards (which gave me permission to do the same). If she wanted to talk to you, she’d call. But the year before she received her diagnosis, she sent me a card featuring her surrounded by her grandchildren. I’m glad I kept it — and our last email exchange last year on 9/11 after she shared her catastrophic diagnosis with typically-Susie positive perspective. Soon after, she mailed her final and gracious farewell letter to friends. It was another gift to us. Rather than facing surgery and drugs that would extend her life a few years but not provide a cure, Susie chose to spend her remaining months with her closest family and loving companion, John Adams. Once again, Susie was teaching us. This time, she was teaching us how to die with dignity. Susie had accepted her ending by recalling the wonderful life she had lived. As the news spread that she had terminal cancer, everyone sent his or her memories filled with admiration and gratitude to Susie. She wrote that she had a wonderful life, that she would travel to Europe with family, and check off items on her bucket list. She thanked everyone for the notes and visitors she received, saying she felt had attended her own memorial service. I’m glad she was able to read what she meant to so many. Well, some of it. There are many more stories to tell about this Remarkable Pro-Life Woman®.